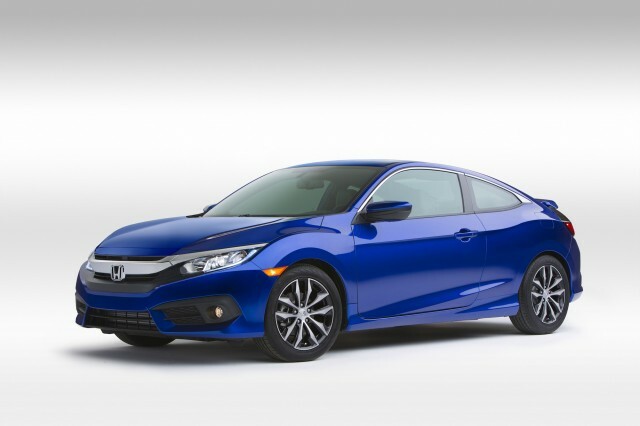 We now have full specifications for the 2016 Honda Civic Coupe--launched a few months after the 2016 Civic sedan--including its fuel-economy ratings. 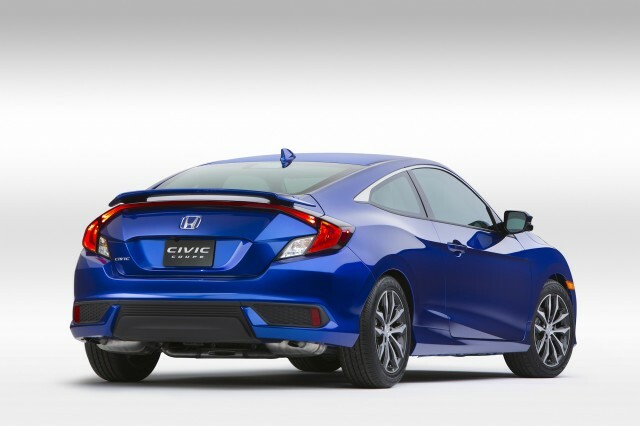 While these figures have not been confirmed by the EPA, Honda expects the Civic Coupe to achieve a best of 35 mpg combined (31 mpg city, 41 mpg highway). Interestingly, that's with both the 2.0-liter four-cylinder engine offered in base models, and the 1.5-liter turbocharged four-cylinder available in higher-level models. It also requires the CVT automatic transmission, which is mandatory for the 1.5-liter engine anyway. The 2.0-liter engine is also offered with a six-speed manual, and gets 31 mpg combined (26 mpg city, 38 mpg highway) in that configuration. All figures for the coupe are fairly close to those of the 2016 Civic sedan that went on sale last fall. The sedan's best performance is 35 mpg combined (31 mpg city, 42 mpg highway), when equipped with the 1.5-liter turbo engine and CVT. With the 2.0-liter engine and CVT, the sedan gets 35 mpg combined (31 mpg city, 41 mpg highway)--the same as the coupe with that powertrain. And with the six-speed manual, the 2.0-liter sedan edges the coupe slightly with an EPA-rated 31 mpg combined (27 mpg city, 40 mpg highway). Like the rest of the car, the two 2016 Civic powertrains are all new. 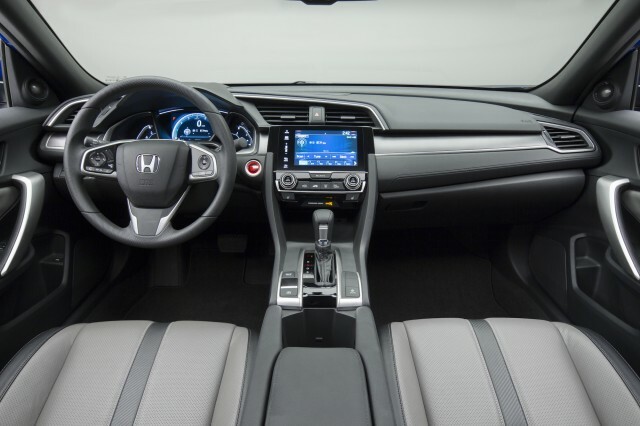 The 2.0-liter four-cylinder produces 158 horsepower and 138 pound-feet of torque, which Honda claims is the most ever in a base Civic. The 1.5-liter four-cylinder, meanwhile, is the first turbocharged engine ever to be offered in a Honda-branded vehicle in the U.S.
Honda previously offered a turbocharged engine in the first-generation RDX crossover from its Acura luxury brand. The Civic's turbo engine produces 174 hp and 162 lb-ft of torque. Honda previously said the Civic Coupe will go on sale in March, and the carmaker has still more Civic variants planned after that. A Civic five-door hatchback will likely be the next new variant, and will probably use the same powertrains as the sedan and coupe. The hatchback will be followed by Si and Type-R performance models.